Don't know about you, but I'd already thought about booking up a summer holiday a couple of weeks before being reminded of Blue Monday this year. I'm guessing a few others are planning ahead too, so I thought now would be a great time to share our trip to Eurocamp's Le Brasilia site in the South of France. 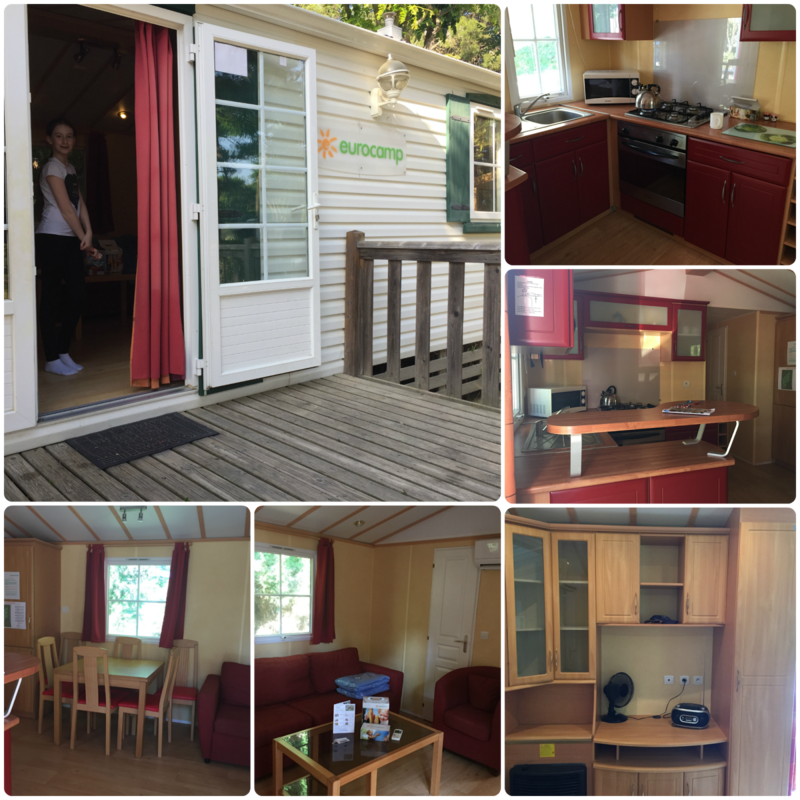 We were thrilled to be invited along to review the accommodation and facilities on site during May half term last year. We were in fact supposed to have visited Eurocamp the previous year, but that's when Sasha ended up in hospital so we ended up having to postpone our trip. As you'd imagine, we were all hoping for something calm and relaxing by the time we did eventually get away on holiday. We flew to Perpignan airport which was very handy, only a 20 minute drive from the site. Le Brasilia is situated directly on this long stretch of sandy beach and has everything you would need for a week away, so no need to even hire a car unless you like to get out exploring. Checking in was easy and quick; we were met by a friendly Eurocamp rep who showed us to our accommodation. 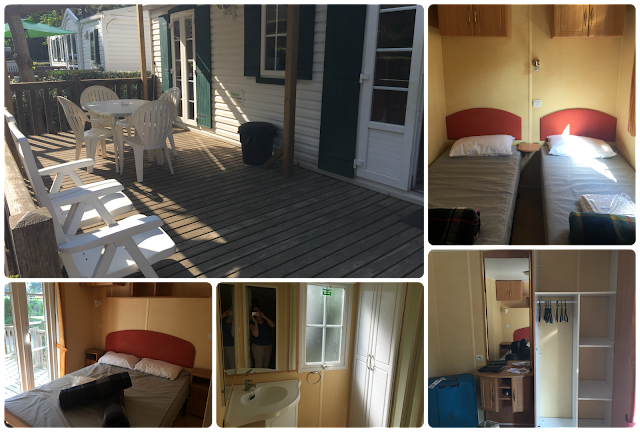 This was a three bedroom Espace unit, with air conditioning inside and a large raised deck with table, chairs, sunloungers and a barbecue outside. The open plan living area felt quite spacious and had all we needed; kitchen with oven, hob, kettle, microwave and fridge, plus dining table and chairs, sofa and armchair with storage area. The bedrooms were a little more compact but still with plenty of storage space, and hangers too (a big bugbear of mine is getting to your holiday accommodation and not having any way of hanging clothes). The bathroom had a sink and a shower, and there was a separate toilet. There was plenty of space between accommodation units so we never felt like other families were 'on top of us'. Opposite was an individual tent pitching site, and again this was a decent size so it didn't feel cramped. Top tip is that the beach towel packs are well worth ordering; you get two large towels in each. The linen packs also had a towel in - definitely order those in advance too as they are more expensive if you ask for them when you arrive on site. Le Brasilia is one of the larger Eurocamp sites, but overall it felt spacious, with plenty of facilities. The main shopping square has a decent size supermarket with plenty of choice at a reasonable price, and there's also a bakery, butchers, greengrocers, ice cream parlour and wine shop separately. A couple of gift shops and a newsagent sell everything from postcards and magazines to swim accessories, clothes and toys, and there's a hairdresser and launderette too. A large restaurant offers a good menu choice (although as Sasha is not a fan of eating out, we always ate at our accommodation) and there's also take-away pizzas. The jewel in Le Brasilia's crown is most definitely the swimming pool area. It's open from 10am to 7pm and you will find a variety of watery options to try out. There's a rocky style area with a deep pool behind and water slides at the front, and next to that two baby and toddler pools with small slides and spray features. We also loved the large rectangular mid-depth pool and the lane-swimming pool which were both pleasantly heated, and next to those is an adults-only large jacuzzi pool with loungers in the water. There's also a spa next door, although sadly we didn't find time to try that out during our visit. The other main attraction of this site is the stunning long sandy beach which all visitors have direct access to. Our girls spent any hours we weren't in the site pools building sandcastles and swimming in the sea. The gate to the beach is locked at night times which helped make the site feel safe, although I have to say we didn't see any trouble at all. There are plenty of other facilities on site too; tennis and volleyball courts, an indoor arcade style games room, playgrounds for toddlers, boules and archery areas and a football pitch. There are daytime organised activities including a mini club for children, but not so many that the areas ever felt too full or booked up. A great variety of evening entertainment is on offer for you to enjoy, from bingo and karaoke to music and magic shows. We only ventured off site a couple of times as we were having so much fun, but there are many activities to do in and around the local area, such as exploring caves, high wire climbing and of course plenty of watersports. There are also plenty of pretty seaside resorts up and down the coastline. The Eurocamp office on site holds a great selection of leaflets and can offer advice. We totally recommend the Aqua Brava water park which is just over the border in Spain. 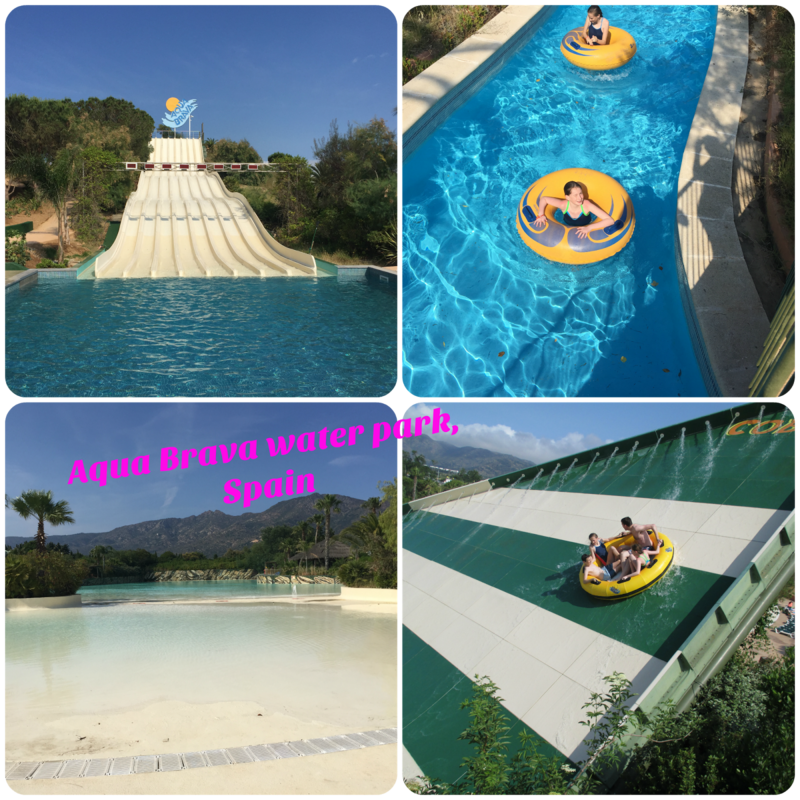 Lots of fun slides and pools - we were very lucky with it being so early in the season so it was practically empty! 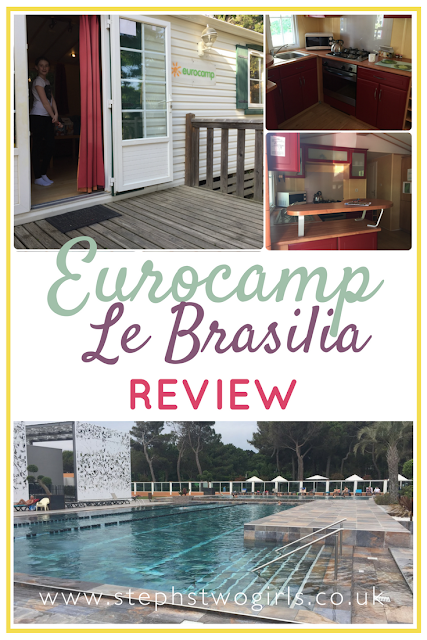 Overall we can't speak highly enough of our experience at Le Brasilia and would definitely recommend staying there with Eurocamp for a fun, relaxing holiday. Bonne vacances! Disclosure: Eurocamp provided us with accommodation in exchange for an honest review; all words and opinions here are our own, as always.